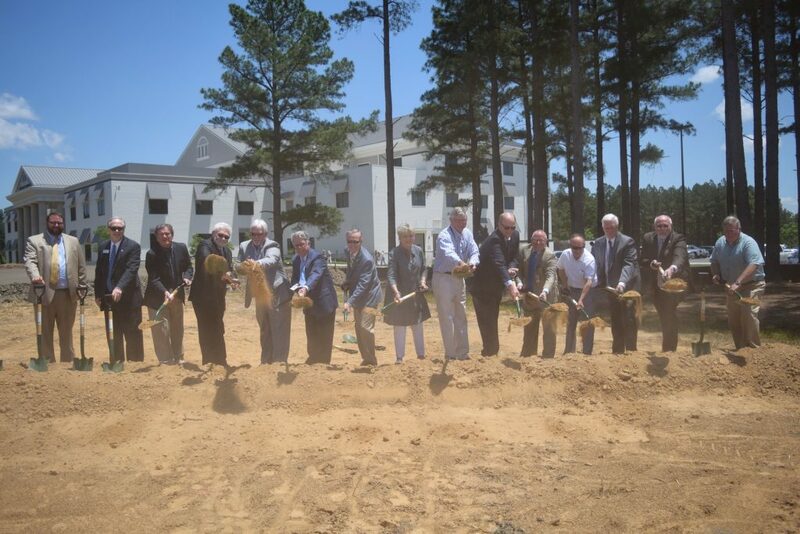 The Arkansas Colleges of Health Education (ACHE) continues to make great strides in health and wellness with the ground breaking for their newest facility, the Arkansas College of Health Sciences. Arkansas College of Health Sciences will be housed in a new, 66,000 square foot building located on the ACHE campus. The $25 million-dollar facility will be the home for Physical Therapy (PT), Occupational Therapy (OT), and Physician Assistant (PA) programs once accreditation is completed. Construction will be completed in early 2020 with the first classes planned for the Fall of 2020. ACHE Board members and vice presidents break ground on new facility. Arkansas Colleges of Health Education is a private, non-profit institution located on 228 acres in Fort Smith, Arkansas. ACHE’s first college, the Arkansas College of Osteopathic Medicine (ARCOM) welcomed its inaugural class of 150 osteopathic medical students in August 2017. ACHE is the first and only private institution in Arkansas that is dedicated solely to healthcare and wellness.